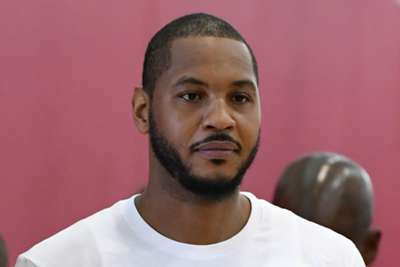 Carmelo Anthony said it was "challenging mentally" to come off the bench in the Houston Rockets' 131-112 loss to the New Orleans Pelicans in their season opener. In his maiden outing for the Rockets, Anthony did not start for the first time in his NBA career and scored nine points off three-of-10 shooting, including one-of-five from three-point range. The 10-time NBA All-Star found it difficult to prepare for an unfamiliar role but is keen to adapt as soon as possible in order to help the team. "It's challenging mentally more so than anything, having to prepare for the game differently," said Anthony. "Other than that, it's a challenge all the way around. "It's just a matter of how I'm going to react to that challenge and accepting that challenge, which I am, which I will do. "For me at this point it's just about what I have to do for the sake of the team more so than just trying to go out there and do whatever and have a specific role. "Every night will be different, but it is a challenge and it's something I'll get used to quick."